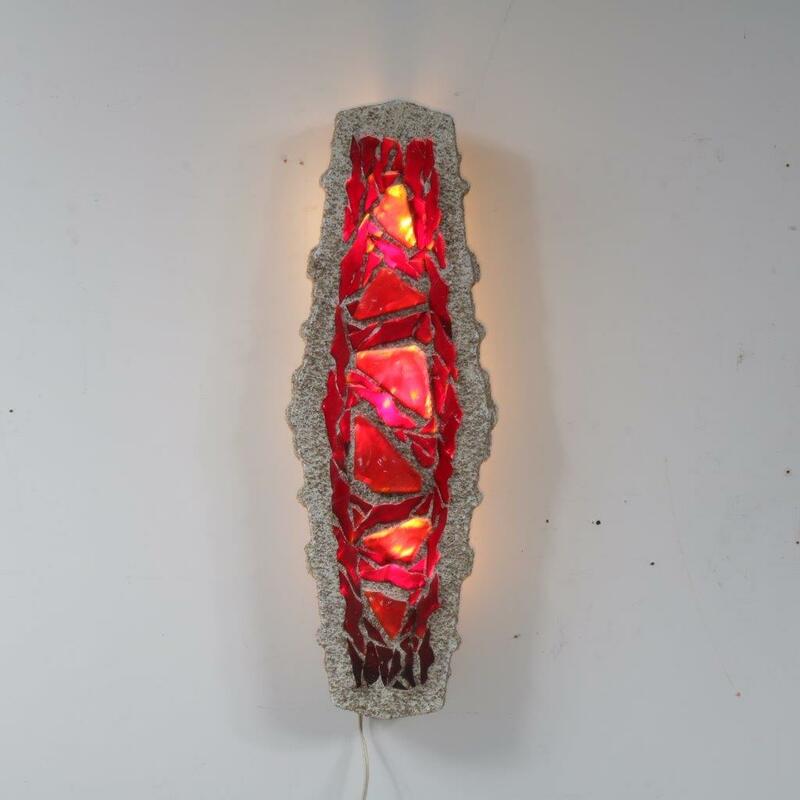 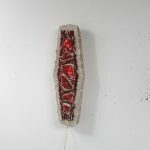 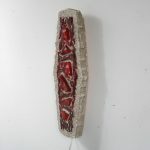 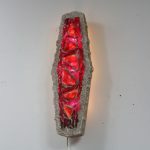 A unique, large hanging lamp made of red glass with a grey ceramics frame. 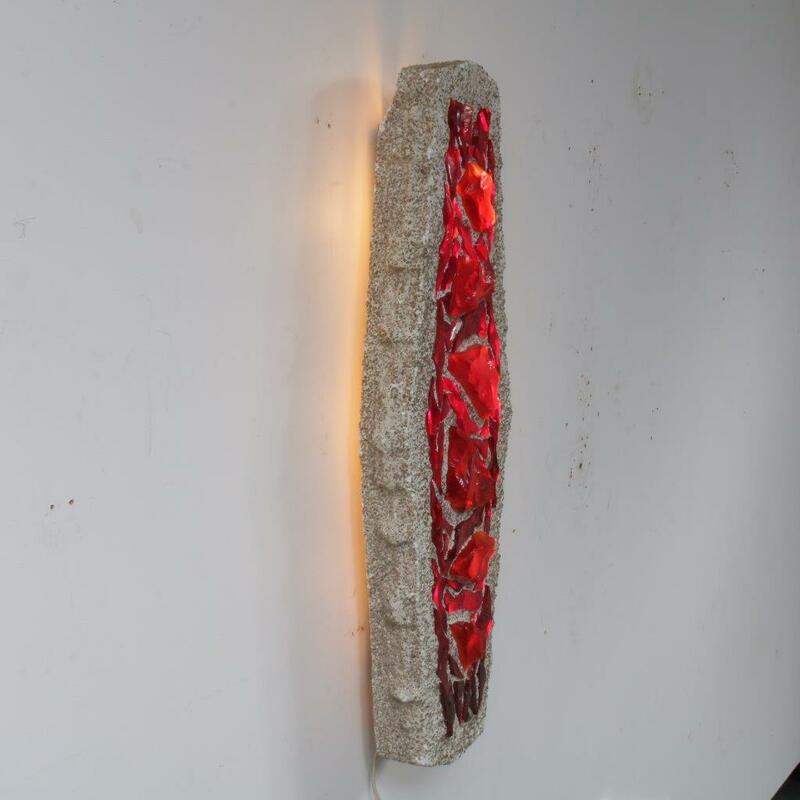 The use of materials creates an eye-catching style, especially beautiful when lit! 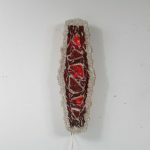 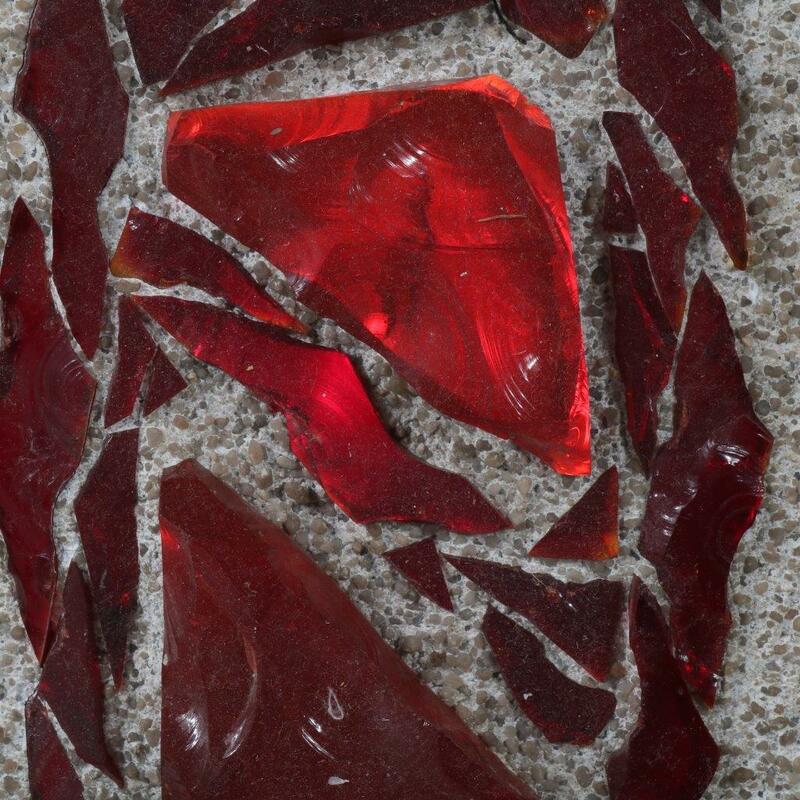 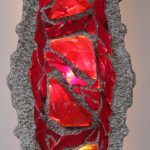 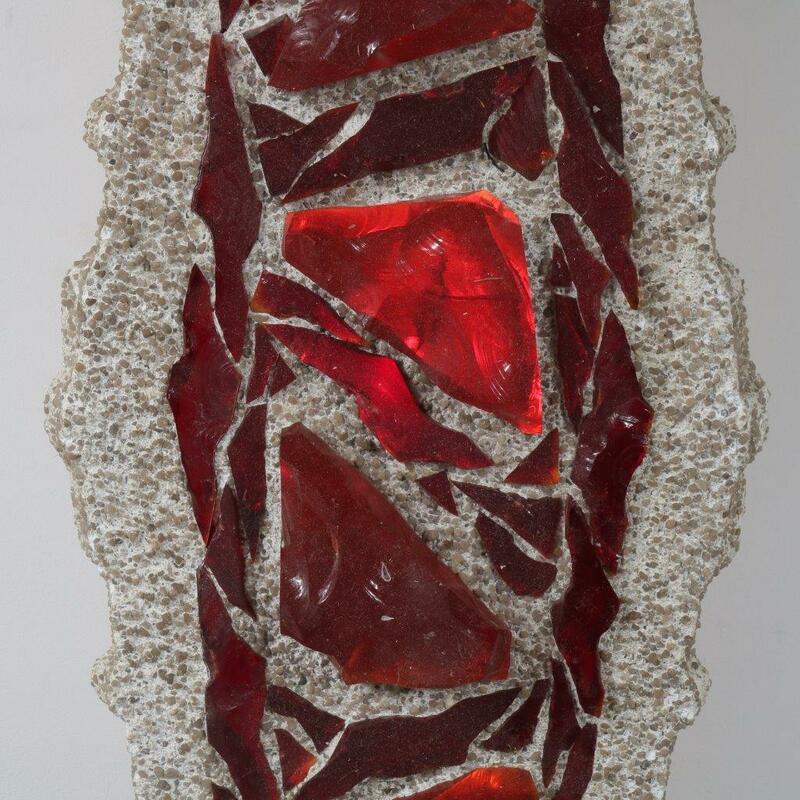 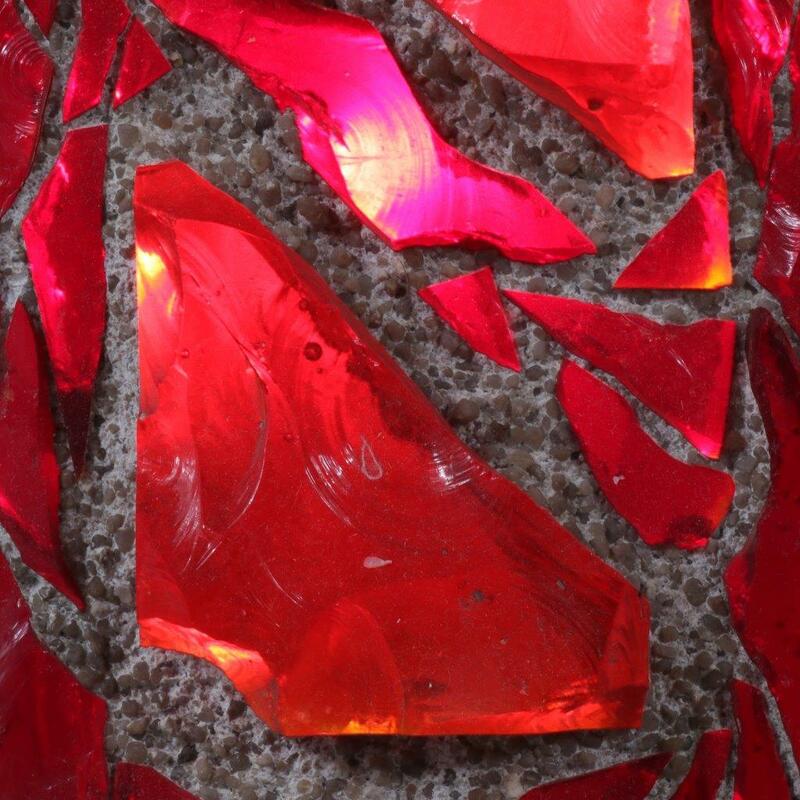 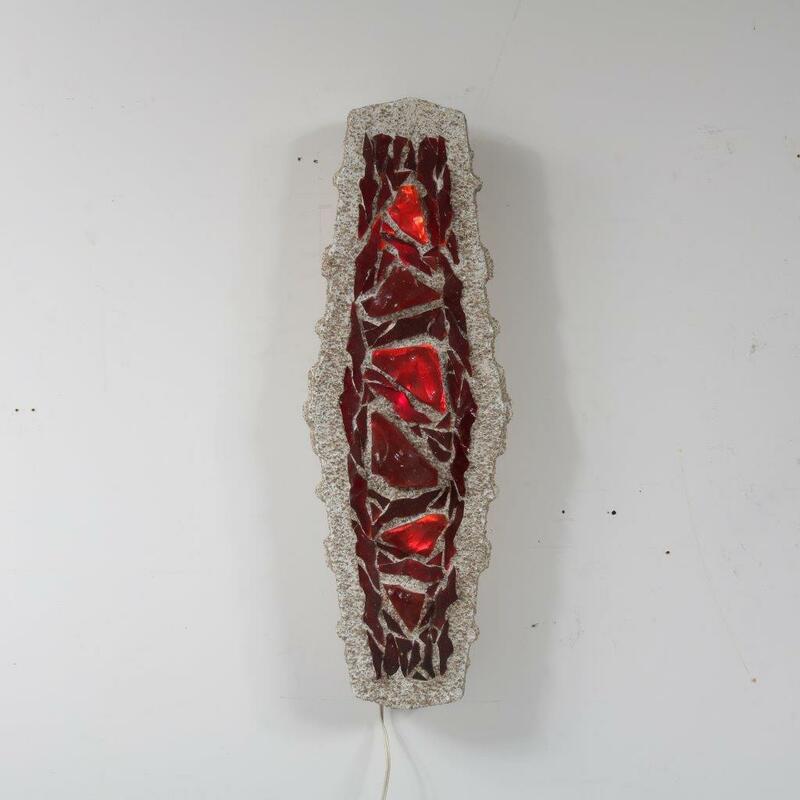 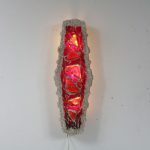 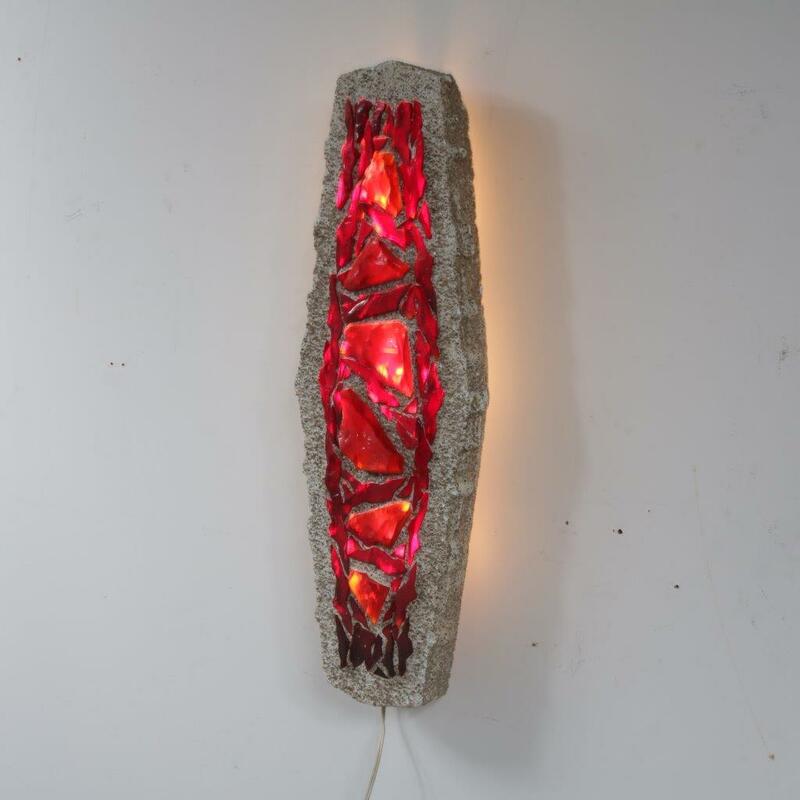 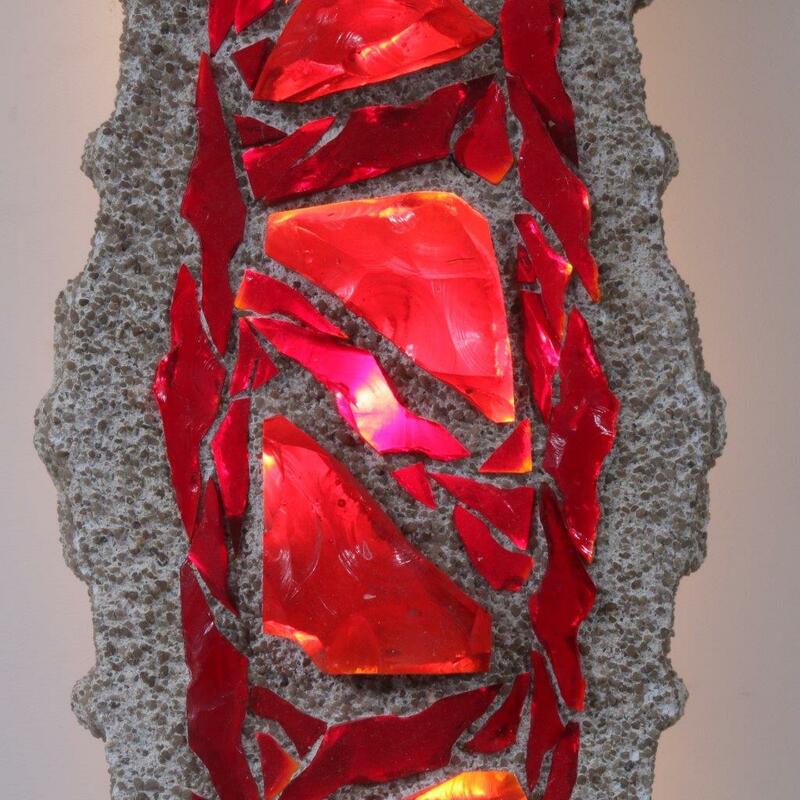 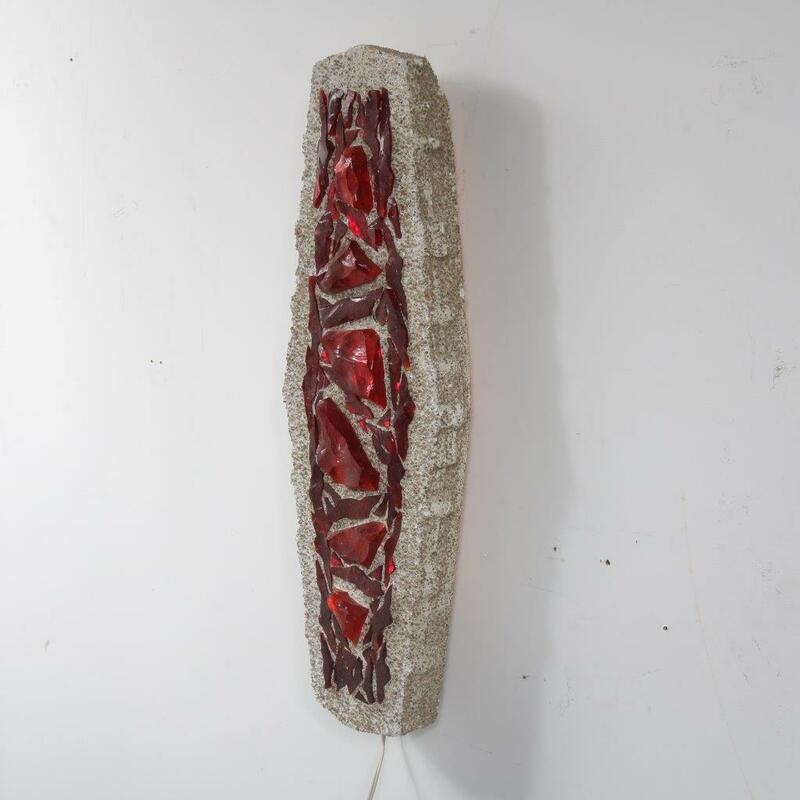 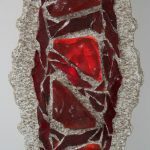 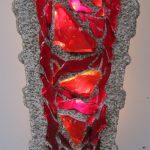 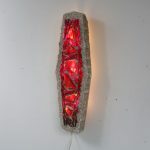 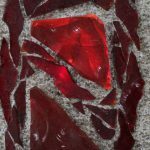 The thick red glass pieces allow a very nice warm light to emit. 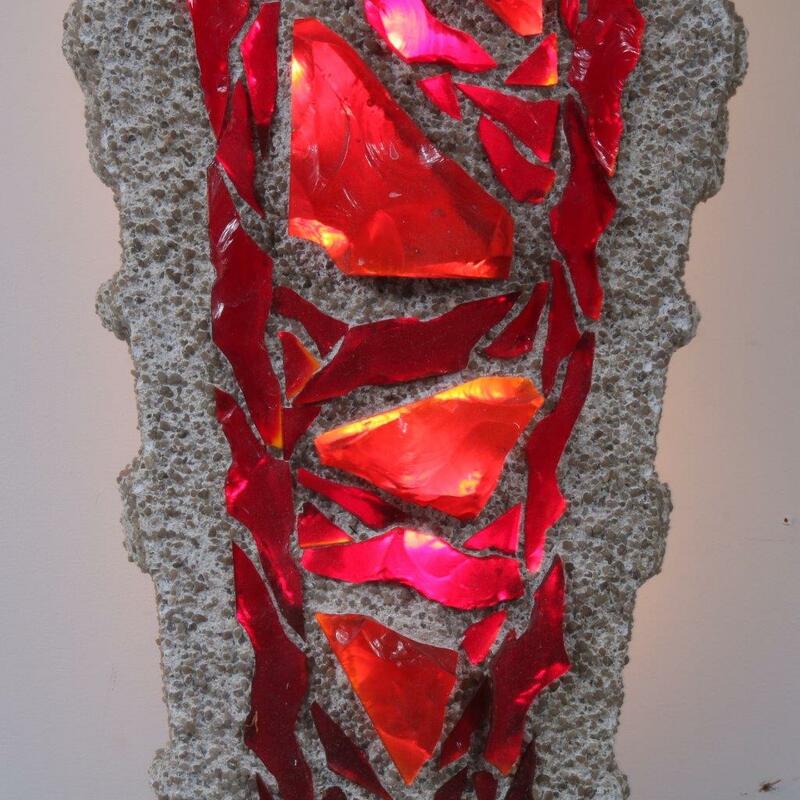 The light is beautifuly diffused and shines back on the wall as well. 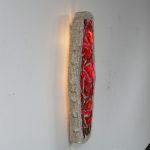 The grey ceramics frame doesn’t let any light through, creating a unique multi-dimensional style. 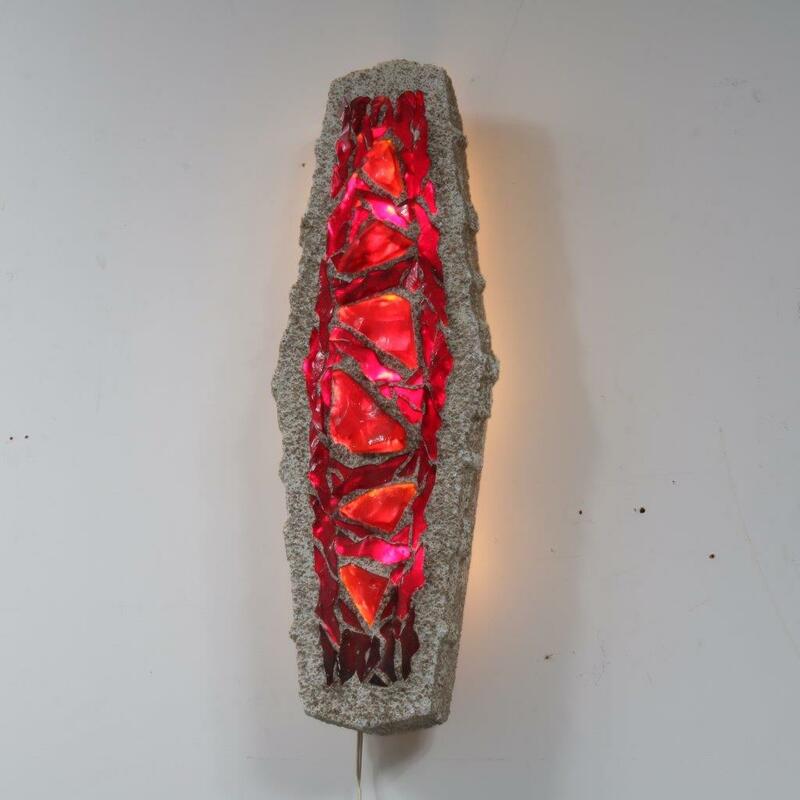 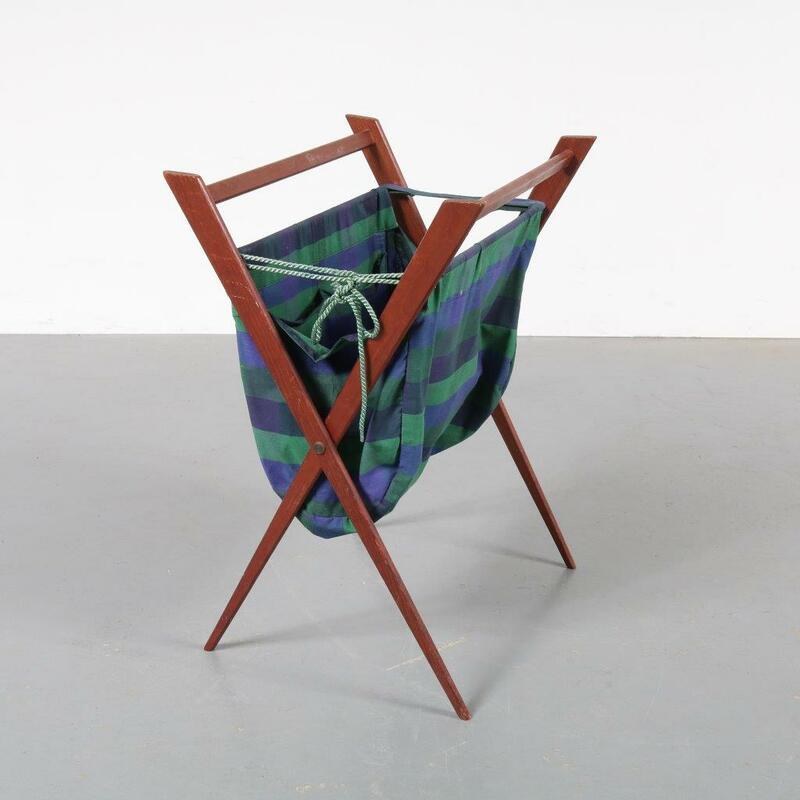 This extremely decorative piece is a guaranteed win in any decor! 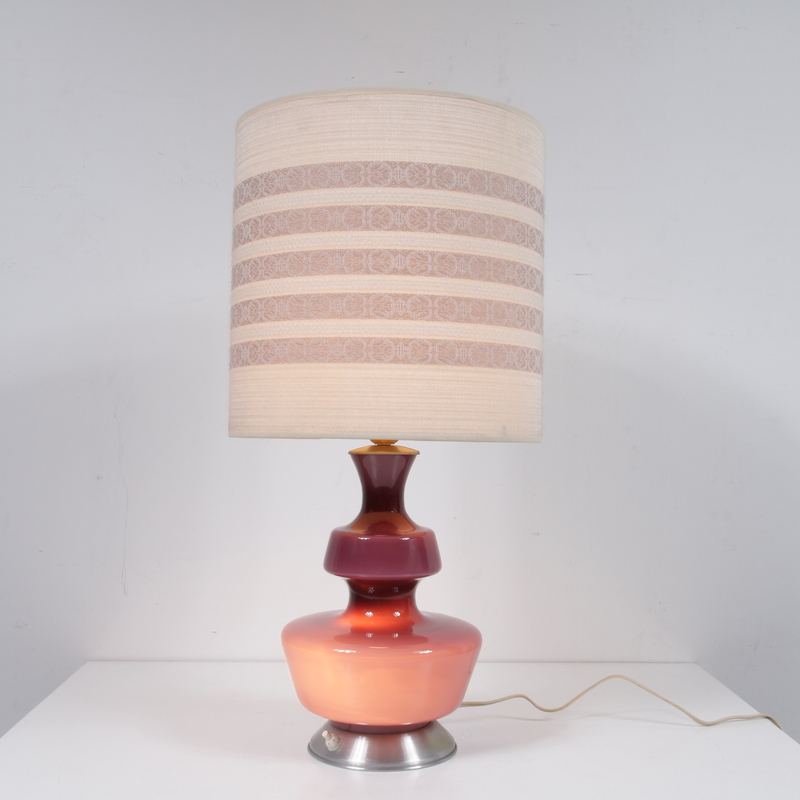 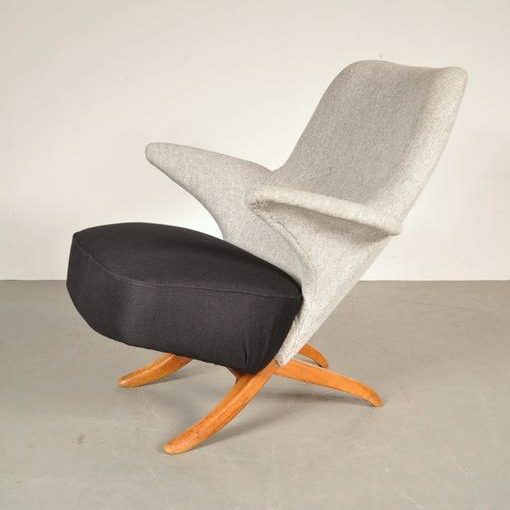 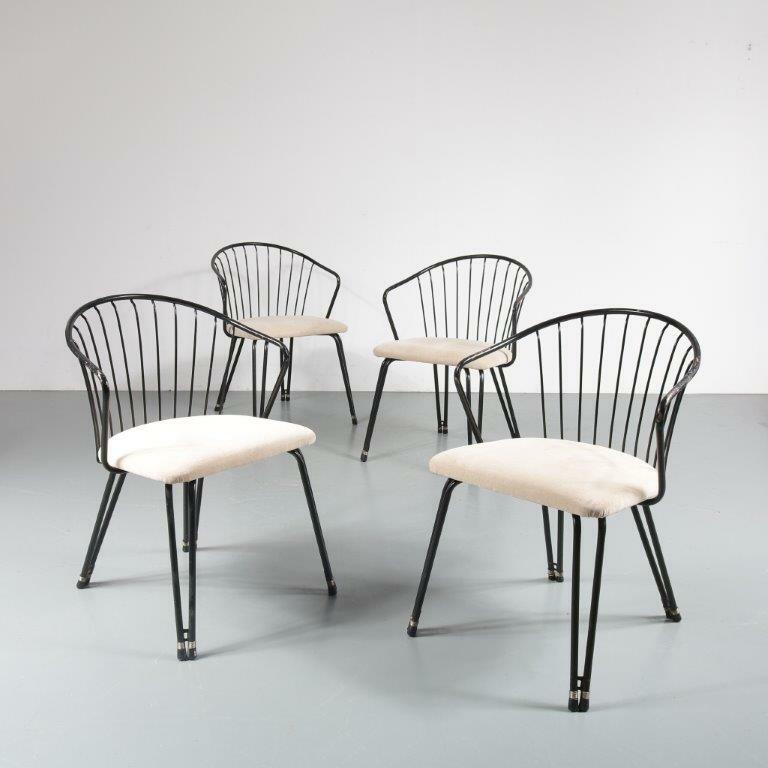 It remains in good, vintage condition with minor wear consistent with age and use, creating a beautiful patina.